The number of people undergoing hair transplants is on the rise and not just with celebrities. With hair loss affecting up to 50% of men and women in the UK, it is now also becoming an increasingly common and viable solution for everyday people to counteract the signs of hair loss and baldness. 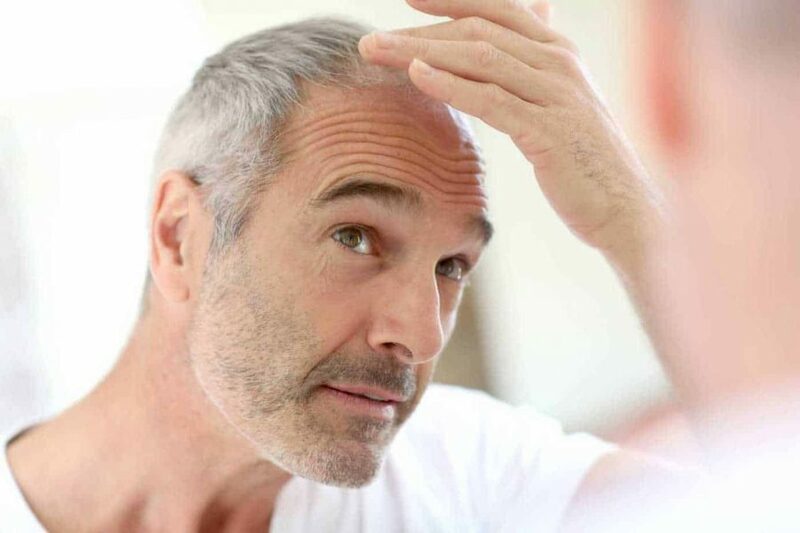 Having the surgical procedure for hair transplants is a great way to provide a permanent solution for baldness in areas such as the front hairline and crown of the head where bald patches typically appear. During the procedure, healthy hair follicles are taken in strips (FUT) or individual hair follicle are extracted (FUE) from the back and side of the head and then placed in the areas where baldness has occurred. In most cases, the hair follicles will successfully take and begin to grow new hair in areas that were previously bald. However, it is worth noting that this may not always be a permanent solution. In some cases, such as those with male or female pattern baldness, hair loss may continue to occur after a hair transplant in other previously unaffected areas. This is because with a hereditary condition like this, the hair follicles in untreated areas will still be affected by the hormone levels that cause hair loss to occur. Therefore, new hair thinning or hair loss isn’t an uncommon occurrence. This is often why many patients may need to undergo several hair transplants over a period of time to treat newly affected areas as the condition progresses. This can cause some patients to feel that the hair transplant hasn’t been a success or is in some way ineffective, but you don’t have to feel hard done by as it pretty normal and in some cases to be expected. Certainly by choosing a reputable hair transplant surgeon like our professionals at the Wimpole Clinic, this possibility will be fully explained during initial consultations, so you know what to expect. Also, it may be of some comfort to know that you aren’t alone in the possibility of having to have further treatments. Celebrities like Wayne Rooney and Callum Best have already admitted to having several hair transplant treatments to gain back a full head of hair. This is because both men have male pattern baldness that will continue to affect hair follicles, making further hair loss a likely eventuality as they age. In the case of Rooney, even recently, there were reports that he may need more treatments in the near future after he was seen looking rather thin on top the day after England were knocked out of the Euros. In summary, if you do have a hair transplant, it can do a great deal in preventing further baldness in a particular area, but it doesn’t guarantee you won’t begin to lose hair in other areas, particularly if you suffer from pattern baldness. With these treatments it’s quite normal to need more than one treatment to continually fight the signs of baldness.